Texas Freckles: Believe the hex hype. I was a skeptic. 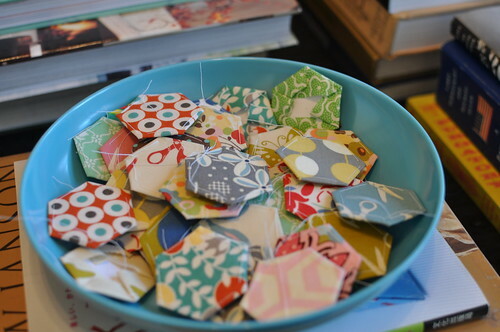 I read this post yesterday at Film in the Fridge, but I just couldn't wrap my head around what could be so addictive about sewing little squares of fabric onto little hexagon shaped pieces of paper. It looked tedious and boring. I decided to try it just to see what the fuss is about. 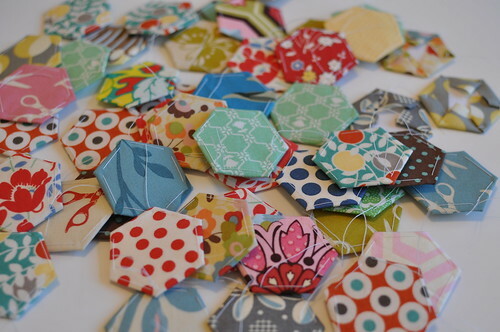 Forty-eight 1 3/4" hexagons in one sitting in front of the TV last night. 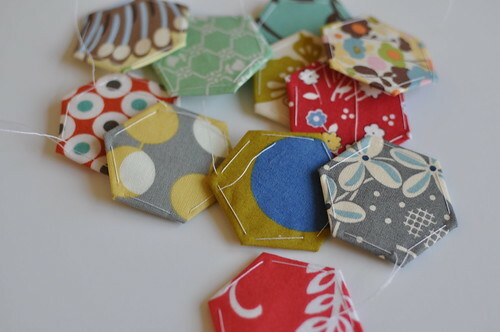 I still have no idea what is so addictive about sewing little squares of fabric onto little hexagon pieces of paper, but, I. can't. seem. to. stop. i haven't been able to figure out what the hype is all about either. like you, i perceive them to be tedious and boring. 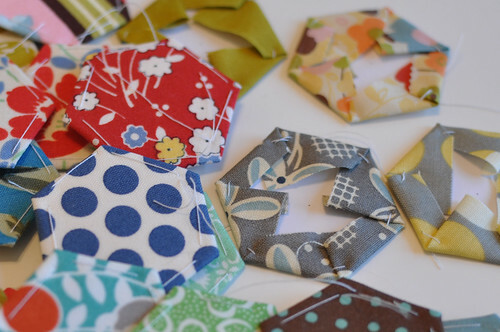 it's interesting to hear that you have enjoyed making them too. maybe i'll have to give them a try when i have a bit more free time as well. do you have a plan for what you'd like to do with them? yours look beautiful - i love them in this smaller size! I can't wait to see what you're going to do with them all. They are addictive aren't they?? I just love doing them in front of the TV too! Really?! Ok... you got me - I may have to just try this myself! Its the stitching them all together that scares me, I think :-) Cheers!